Radiofrequency Technology uses low-temperature cutting, the water molecules in the tissue vibrates violently under the influence of radiofrequency and electromagnetic waves. As a result, causes collision and rupture of cell and cutting of tissue. The main advantage of RF technology reduces the blood loss during surgery while comparing to other Endosurgical Units. For Endoscopy– Radiofrequency Ablation system is available with bipolar tip electrode. Use of low temperature, enhance the cutting to minimize tissue damage by thermal power. 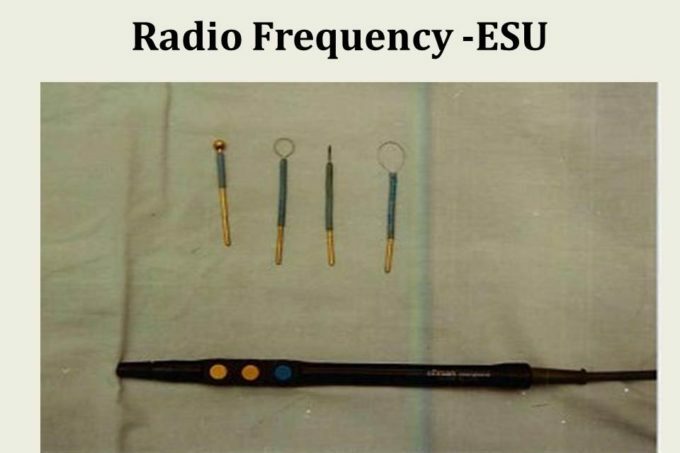 The universally used high frequency operating electrode with 1.6 mm that used in common open surgery. The radiofrequency needs the Neutral plate/patients plate in case of using Monopolar Electrode.